Ares is not the best in Setting up Kills but he is definitly one of the most damage dealing Supports! Your Job always is being Present. Not too salty but when u stand next to your Teammates Enemies need to respect your Presence, because if they invade you will punish by chaining them and thou denying their escape tools and once they are in the fight make them lose it by turning tides with your Protection-Aura-Ability and Damaging them with your Fire and Chains. If you want to set up a kill you will want to CHAIN one or more mostly squishy targets and the Movement-Speed-Steal will help your teammates close the gap while the taget is slowed and the chained enemy is not able to use leaps or other escape tools. In Terms of Ult Ares is difficult especially in Ranked! Enemies usually get Purification. So you really need to watch for enemies who do not have Purification. They will always be your first targets to Ult into a Kill-Set-Up for your teammates in team fights. Still you need to be watching the enemies purification's cooldowns. If you Ult them and they all use it not to be pulled in exactly 100s your Ult will be up again, their purification won't, if you not what i mean. To deal damage yourself you will always need to get all three chains on your target, otherwise a lot of your damage potential is lost. Finishing Enemies who are getting away with very few HP can be secured with "Sunder"-Relic or Ult too, dont forget this deals a lot of damage too! I personally don't like Cooldown-Items too much, because i want my stuff to hit hard and not hit often. Penetration is key to deal a lot of damage. Always buy Rod Of Tahuti as 5th or 6th item because his passive scales with the +25%, so 400-500 DMG is nothing special for a Late-Game-Ares who buys Rod of Tahuti, what will make u able to kill targets completly on your own easy. Putting three Points into FIRE-Ability gives you the 2% instead of 1% HP-scaled Fire-DMG, what makes it at least viable. Your best damage dealing ability still is CHAINS, if you hit all three of them. Take your time aiming, if you do CHAIN-wait2s-CHAIN-wait2s-CHAIN-tick4s you can get a total of 8 seconds of DOT-Time and the biggest damage possible. CHAIN, CHAIN, CHAIN, AURA, FIRE, (Ult or Sunder for finishing blow)! Right, regarding the flames I agree on that considering we're talking about Conquest, with all its rotations etc. Well you certainly have a point there, it's just that I saw an additional opportunity- let me explain a bit. The thing is that majority of the characters also have an increase in protections every level- and while everyone atarts at 30-31 magical protection: guardians, warriors, but assassins AND hunters as well will also gain 0.9 point of magical protection every level. That also applies to many mages excluding the squishiest- Zhong Kui, Hades and Ao Kuang for example also gain magical protection as they level up. That means that at level 20 they will have approximately ~50 magical protection- so with 30 penetration they'll be left with 20 points; it might seem irrelevant but the less protections a target has, the more valuable they are regarding their effectiveness in reducing damage taken. -20 from the Void Stone aura, and -30 from Spear of the Magus passive. That being said, it comes down to personal preference I guess. 106370 Daelinn Right, regarding the flames I agree on that considering we're talking about Conquest, with all its rotations etc. [quote=GeNeReDeR] Having flat 30 Pen pretty much is the perfect amount [/quote] Well you certainly have a point there, it's just that I saw an additional opportunity- let me explain a bit. The thing is that majority of the characters also have an increase in protections every level- and while everyone atarts at 30-31 magical protection: guardians, warriors, but assassins AND hunters as well will also gain 0.9 point of magical protection every level. That also applies to many mages excluding the squishiest- [[Zhong Kui]], [[Hades]] and [[Ao Kuang]] for example also gain magical protection as they level up. That means that at level 20 they will have approximately ~50 magical protection- so with 30 penetration they'll be left with 20 points; it might seem irrelevant but the less protections a target has, the more valuable they are regarding their effectiveness in reducing damage taken. [center][spoiler=Damage dealt and protections][img]http://i.imgur.com/WKqiB20.png[/img][/spoiler][/center] While taking [[Spear of the Magus]] might seem as an overkill- well it is to some extent for the wielder (about 20 points out of 70 overall wasted), but on the other hand it strips the target from 50 points of protection in a way that every ally will benefit from it: -20 from the [[Void Stone]] aura, and -30 from [[Spear of the Magus]] passive. That being said, it comes down to personal preference I guess. Damage through Penetration not Tahuti: basicly I agree, but as I explained Tahuti's passive scales with Ares Passive Skill, so he just benefits so hard from Tahuti that I must buy it, but that is just me. We are talking late game thou, so a high power will definitly help! Penetration is key definitely, but having 30 (10 boots, 20 voidstone) is the perfect amount in my opinion. 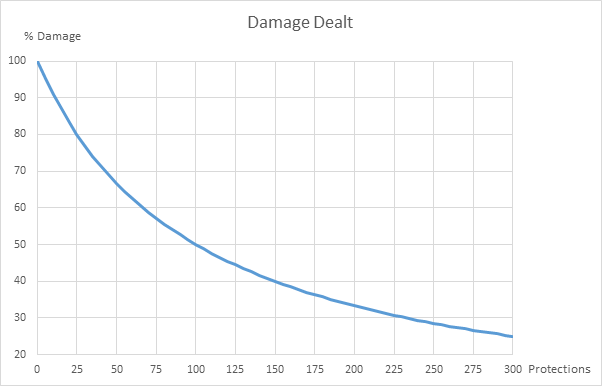 what you want to do in terms of dealing damage, is dealing damage to the squishy targets. Even with Spear of the Magus you wouldn't engage on a Khumbakarna, you would focus on the enemy mage or hunter. Most Hunters and Mages don't buy magical protections and end up with 30-40 magical Protection in the late game. Having flat 30 Pen pretty much is the perfect amount, because you don't want to waste a precious item slot for spear of the magus and cooldown boots when you can have Pen boots and voidstone there! I can totally understand levelling Searing Flesh first as you explained it; to gain that additional 1% of maximum HP dealt by every tick- but I think maxing Shackles would still bear greater damage potential overall (as this 1% of health is reduced by the enemy's protections; it's not true damage or anything), aspecially because of their extraordinary base damage, not to mention the increased safety in their usage over Searing Flesh. All in all I like this build; it's very similar to my Ares game style, but there's one thing I would recommend. Even if you really are aiming at more damage, Rod of Tahuti is not an ideal item choice for him. That's mainly because Ares' abilities have splendid base damage but low scaling with power, and thus what benefits his offensive capabilities more is investing in penetration items; Shoes of the Magi and Void Stone being great examples. Therefore I would suggest considering Spear of the Magus over the Rod of Tahuti if you really want even more damage. Oh, Gem of Isolation works well too; the slow from Shackles turns almost into a root with this item.